Tonight from 7PM to 9PM on my weekly radio show Cause & Effect I will be playing all things relating to one Mr. Greg Dulli. You many know him from such bands as The Afghan Whigs, Twilight Singers, and Gutter Twins to name a few. You can tune in locally at 97.3 FM in RVA or stream the show live at www.wrir.org. All I needed to know about the Afghan Whigs at the time was that they were on a label that I trusted implicitly. The "I Am the Sticks" single backed with White Trash Party from 1989 was my gateway drug to the music of Greg Dulli and I have been following his career ever since. As I began piecing together this week's show it was startling to realize over 20 years have passed since I first fell in love with The Afghan Whigs and was fortunate enough to see them play that early on in a room not much bigger than your average two car garage. Musically they embodied a variety of styles I loved at the time from the sheer force and energy of Husker Du to raw vocal gravel of Squirrel Bait to the guitar antics of J Mascis. And while admittedly, at that point Sub Pop could have probably sold me (and often did) just about anything, I fell for this band with all their twisted dark imagery and their masculine swagger in a big way. I was a senior in high school when this love affair began and just as I began to explore new genres as I matured, it seemed like The Afghan Whigs and Greg Dulli (singer / guitar player) was doing the same thing. Suddenly Soul, Funk and R&B began seeping into their sound and not only was their a steady in flux of cover songs by the band, their sound headed into a more soulful and sinister place as well. By the mid '90s there was a much more layered, almost cinematic quality to the Whigs and I feel like Greg Dulli has been developing and trying to prefect that ever since. Not just as a solo artist but with the Twilight Singers and the Gutter Twins as well. 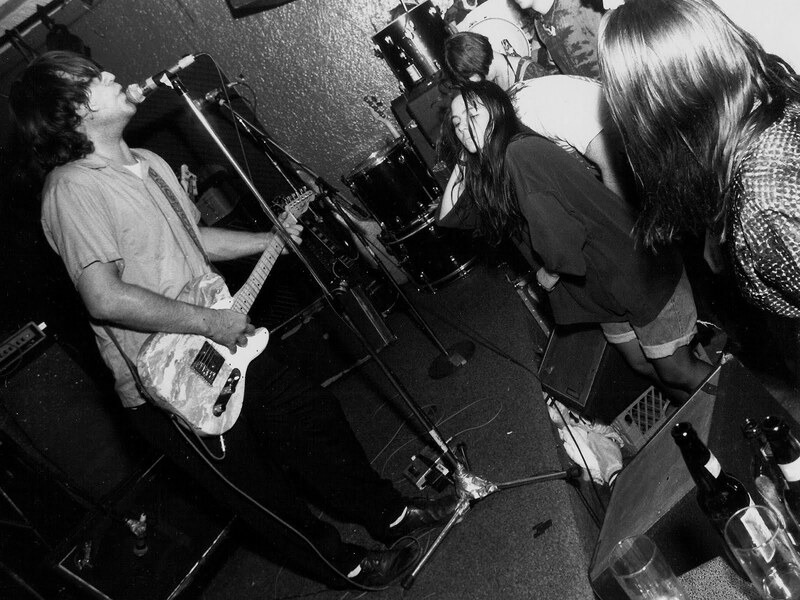 PS: Here is a picture of the Afghan Whigs playing at Maxwell's in Hoboken, NJ, Oct 5th 1990 and it was taken by the wonderful Mr. Richard Unhoch. The little lady in black rocking out is me - fresh out of high school. Yes, 21 years since "Up In It". I think it was during a band stopover in San Francisco that we saw them, maybe in 1991, with Teenage Fanclub. Wish I would have kept notes. Also saw them at home in Vancouver at a now demolished theater on Hastings. Thanks for the memories, Tracy!